Your #1 sign supply wholesale store! 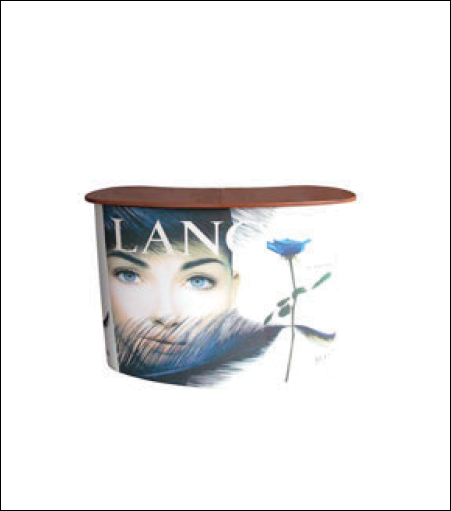 Graphic size: 77" x 37.5"
This Portable Trade Show Kiosk is a great way to brand your exhibit or event space with high quality graphic panels that can be changed effortlessly and quickly. This Trade Show Counter is larger and heavier and features a high quality inkjet graphic panel that attaches to the podium stand using magnetic tape.